We have the pleasure of working with a network of over 1,000 qualified instructors across the UK. 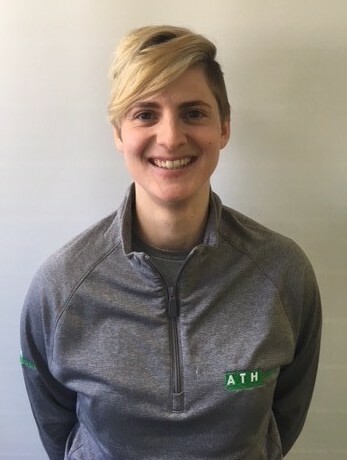 One of these is Stephanie, a first aid trainer working for ATH Training Group Ltd. As part of a series of blog posts, we’re sharing instructors’ stories, starting with this one! Hi, my name is Stephanie and I am a First Aid Trainer at ATH Training Group Ltd. I stepped into this new career path in April 2018 and have never looked back. So what does ‘trainer’ mean? Trainer means I am able to teach the most rewarding courses including Emergency First Aid at work, First Aid at work and Paediatric First Aid. All these courses teach life-saving skills which can be applied in work environments as well as day to day living. It is rewarding knowing I am able to give a class full of people from various walks of life knowledge and the confidence to potentially save a life. I am supplied with the resources to teach the specific qualifications such as PowerPioint and paperwork but being a trainer also allows me to be individual, creative and add my own teaching style/resources to lessons. This independence means I can play games, activities and make courses fun, driving away from the ‘boring courses’ attitude for learners whilst achieving the learning outcomes through a fun learning environment. The role of this job allows me to meet new people every day, getting to know individuals. I can watch their confidence grow from the start of the morning when you meet a nervous quiet learner who by the afternoon is displaying great confidence with the skills they have learnt. This job also allows me to challenge myself every day, finding new and creative ways to teach but also engaging learners with any ability. I can adapt not only my teaching practices but also myself to suit each individual and any needs a learner may have within a classroom environment. I love this job and the fun I have along the way, meeting new people but also getting to know them on our courses. So, how do I know if I’ve done a good job? Well, the first sign would be if all of the learners have passed the course. It is one thing in passing a course but it’s another passing and having the confidence to deliver the skills you have learnt in an emergency. Yes, it is important a learner passes a course; however, to know I have met my own personal target is when a learner thanks me at the end of the day stating ‘that was a great course and wasn’t boring like I thought it would be’ followed by ‘think this is the only time I’ve attended one of these courses and actually feel confident to leave the room and deliver treatment’. Remember, keep things basic in an Emergency situation, I cannot train anyone to become a doctor within 1 day, I certainly can train someone around a green First Aid box and how to deal with an emergency situation. So to finish with… ’Hi my name’s Steph and I am a first aid trainer who loves my job. ProTrainings offers ‘train the trainer’ courses, so you too can take the first step to having a fulfilling career helping others. You can sign up to join our network of over 1,000 instructors too. Becoming an instructor for ProTrainings comes with a lot of advantages, including low setup and training fees. Not only can you teach classroom courses, but you can also make money as a skill evaluator on blended courses, and even sell e-learning courses to your clients. Earn a commission every time one of your students takes an online course – forever! The powerful instructor dashboard lets you track and stay in touch with your students so they come back when it’s time to re-certify. Sign up here! https://www.protrainings.uk/users/new_instructor or call 01206 805359 for more information on how to become a ProTrainings Europe approved instructor.